We’d love your help. Let us know what’s wrong with this preview of Macbeth by Jo Nesbø. Plagued by hallucinations and paranoia, Macbeth starts to unravel. He’s He’s the best cop they’ve got. My first Jo Nesbo novel, I enjoyed the story more that the writing. I am wondering if this was typical of the authors writing style. Some of the things I did not care for might have been translation quirks as well. Anyone have any thoughts about how this compares to other Nesbo novels? Annamarie I have read all of Nesbo's novels - the Harry Hole series and the independent novels. This is completely different. A total standalone. Dark, well,…moreI have read all of Nesbo's novels - the Harry Hole series and the independent novels. This is completely different. A total standalone. Dark, well, like Shakespeare's Macbeth. In the Harry Hole novels, you get to sink into the character and those around him. I recommend starting with the first Hole novel - The Bat - and go in order. The third book, the Redbreast, really takes the series into the stratosphere, but the first two are necessary for background. Is this a Harry Hole novel? Can Yapalak No, it is an individual story based on Shakespeare's Macbeth. The Sam Worthington and Victoria Hill Scottish Gangster version of Macbeth (2006) is my favorite Macbeth and probably the closest cinematic version to this novel. Setting: Run down industrial town with toxic air and poisoned earth. Crime is high as more and more of the population becomes addicted to an illicit drug called Brew, made in a witch’s caldron. (I know, heavy, right?) Hecate is the drug lord who, behind the scenes, manipulates everything. Duncan is the police commissioner. He is honest, and if given a chance, he will lead Inverness back to a happy better life. Macbeth is love-smitten, indeed, with the lovely woman who calls herself Lady Macbeth. She has fiery red hair, elegance, and flair that makes men go weak in the knees. She owns the casino in town, but her ambitions go way beyond controlling gambling. She thinks Macbeth should listen to the prophecy and become police commissioner, but why stop there? Why not mayor, as well? Ambition achieved and yet unearned creates anxiety. Who can rest easy on the bones of their enemies when they weren’t truly their enemies, but good men more deserving? As Macbeth does more and more to friends who know too much and to those who simply stand in his way, ”Red feathers were stuck to the walls around them;” paranoia becomes his constant companion, and his weaknesses become more evidence . He is on a collision course with Duff, who becomes the only man who has a chance to stop him. Out of all the plays that I’ve read by William Shakespeare, Macbeth is my favorite. I haven’t read them all so I do reserve the right to change my Shakespeare affiliation as I work my way through the Bard’s amazing contribution to English Literature. It turns out to be a terrible alliance, due to the fact that Lady and Macbeth spur each other’s ambitions which, once achieved, turn out to be hollow and too highly priced. The greed for power is strong, and like a drug, people can start to want more, always chasing the feeling of that high when they first triumphed. Inexplicably, I’ve always liked Macbeth. I find myself, whether it is a play, a movie, or this novel, rooting for him even though he isn’t really that likeable. I see the promise in him that is overcome by the evil in him. I’m always hopeful that some writer or movie producer will pull him back from the brink and set him down on a path to be the man I know he could be. Of course, redemption is not the theme of the play, nor of any movie or book starring Macbeth. He must be consumed by his own guilt and insecurities. He must ultimately be destroyed by the weight of his misdeeds. There are ghosts, witches, and playful uses of characters. Seyton is transformed into some creature beyond the pale of human understanding. Everything I’ve read says that Shakespeare never intended the name Seyton to infer that he was Satan, but where the Bard may have let the opportunity flitter away in rewrites, Jo Nesbo did not. Nesbo certainly has fun with the characters. Caithness, a Scottish nobleman in the play, is cast as a woman in this novel, the lover of Duff. Hecate is a witch in the play, but becomes a male drug lord in this novel. Nesbo stays reasonably close to the original plot. I loved the 2015 version of Macbeth starring Michael Fassbender. I’m really impressed with the first volume I’ve read in the Hogarth Shakespeare series. Hogarth was the original press owned by Leonard and Virginia Woolf. Next on my list will be Margaret Atwood’s retelling of The Tempest. The others in the series are Tracy Chevalier retelling Othello, Gillian FLynn retelling Hamlet, Howard Jacobson retelling The Merchant of Venice, Edward St. Aubyn retelling King Lear, Anne Tyler retelling The Taming of the Shrew, and Jeanette Winterson retelling The Winter’s Tale. If they have not commissioned your favorite play yet, stay tuned. This novel was a bloody blast. I set aside all other books to focus on reading it over the weekend and found it, frankly, invigorating. Shakespeare made into a page turner. Without any prologue and lengthy introductions, I must tell you that this book is a masterpiece. It has the status of a classic, the making of a novel that will defy time. Nesbø took the masterpiece by William Shakespeare and elevated it to new heights. If you follow my reviews, you know that I have two obsessions: Wuthering Heights and Macbeth. I never thought I’d say that another writer would come to rival the greatness of the Scottish Play but there you have it. Sacrilege verified. Nesbø sets the action in Scotland, during the 70’s and we are transported into the fickle, cruel world of casinos, the drug ‘’market’’ and the universe of high crime. Everything is masterfully crafted to reflect Shakespeare’s world. Macbeth is the head of the SWAT unit, Lady is the owner of a quality casino, Banquo is Macbeth’s mentor. The Norse Riders gang is the main rival and Hecate is the mob boss who appears to move the strings and direct the characters’ fate. See what Nesbø did there? I think you do and I tell you it is a marvelous stance. He shows how Fate arms Macbeth’s hand and the sequence of events is immediate. The consequences unavoidable and irreversible. As in the original material, the finest scenes are the ones between Macbeth and Lady. Dare I say that their relationship in Nesbø’s retelling is even more fleshed out and poignant? Well, I do because it’s the truth. If you love this frighteningly alluring couple in the Bard’s play, you will fall head-over-heels for them in this novel. Macbeth is perfectly drawn. He’s slightly more malicious and ruthless than his Shakespearean counterpart but this is to be expected given the setting and the direction of the story. Because of Hecate's brew, Macbeth’s visions start early and they are striking. The depiction of his guilt and the emotional toil of his actions, his steady descent into despair, his surrendering to his fate is a devastating process to read and knowing the outcome makes it even worse, it makes it even more powerful. Lovely Lady...She is brilliant, as fascinating and dangerous as the Queen of Scotland. And do you know what I enjoyed the most? The fact that in Nesbø’s version, Lady is a powerful woman who has come into her own without taking orders and sh...from men. She is more experienced, more intelligent than Macbeth. Their relationship is balanced and loving yet, she doesn’t need him to define her as a person. She is not ‘’his’’ queen, she is a woman who has forged herself through fire and steel and takes responsibility of her own choices. And in this version, she is granted a number of redeeming qualities that are absolutely absent in the original play. I cannot say much because spoilers are lurking. Even though we all know the original story, Nesbø has created quite a few twists and turns that forbid me to say much. It’s a joy to be able to recognise the exact scenes from the Bard’s play, the monologues and the famous quotes within the context of Nesbø’s story, to pinpoint the parallel lines between the two works. The bleak atmosphere of Scotland, the fact that most of the action takes place during the night, the frenetic 70’s vibe mirror the spirit of Macbeth to perfection. I didn’t expect such a successful adaptation of Shakespeare’s quotes into contemporary language without sacrificing their beauty, their impact, their significance. So major congratulations to Don Bartlett for the translation from the original Norwegian. The interactions are as solemn and as natural as they can be and the prose is rich in a distinct, dark Nordic beauty. "You’re a better man than me, Macbeth." Jo Nesbo's Macbeth is his contribution to the Hogarth Shakespeare Project. This book started slowly for me. Which is funny because the book opens to action but nevertheless it was S-L-O-W. There is a lot going on all at once and there are a lot of characters with their own agendas. I found I put this book down a lot in the beginning and turned to other books but kept coming back to this one. As I said I struggled in the beginning of this book as it was slow "You’re a better man than me, Macbeth." 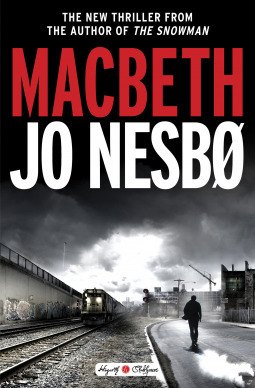 Jo Nesbo's Macbeth is his contribution to the Hogarth Shakespeare Project. This book started slowly for me. Which is funny because the book opens to action but nevertheless it was S-L-O-W. There is a lot going on all at once and there are a lot of characters with their own agendas. I found I put this book down a lot in the beginning and turned to other books but kept coming back to this one. As I said I struggled in the beginning of this book as it was slow, but it didn't stay that way. This Mash up of Nesbo and Shakespeare was quite entertaining. After the first couple of chapters I was hooked. This book kind of snuck up on me. If you struggle in the beginning of this book as I did, stay with it, it's worth it as Nesbo unleashes his re-telling of Macbeth as only he can! It's gritty, dark and addictive (once you get past the beginning). "It’s never what you want to do, but what you have to do." Set in the 1970's, this book focuses on a police force attempting to shed its drug problem. A dangerous drug lord named Hecate has high connections in the city and will use them to get what he wants - absolute power. He is manipulative and clever. Macbeth is a man with demons. He has addiction issues and is prone to violence and paranoia. He also just so happens to be the head of the SWAT team. Hecate's plan involves manipulating Macbeth while putting him in a position of power. Hecate also owns one of the two casinos in the rainy industrial town which serves as the setting for this book. The other casino is owned by Macbeth's girlfriend, Lady. "A last desperate act which, seen from the outside, is a sacrifice, but which deep down you hope will be rewarded with the forgiveness of your sins and opening of heaven’s gates." A drug bust goes wrong at the beginning of the book and Macbeth and Duff, his childhood friend need to clean up the mess. It's not long after that drug bust when power, greed and guilt come into play. Ambitions can and do get the worst of people in this book. In one way or another various characters owe others debts and call them in. Soon greed, ambition, corruption, backstabbing, lies, murder, love, guilt and the need to be the top dog in the city get the best of many characters. Nesbo puts his personal touches on Macbeth focusing on political ambition, greed, murder, and police procedures and corruption. I thought Nesbo’s re-telling was clever, entertaining and intelligent. Nesbo's Macbeth was well written and well thought out. I can’t imagine how much work it took to write such a re-telling. I think he pulled off the re-telling brilliantly. I believe fans of Shakespeare's Macbeth will appreciate this book and also people who have not read Shakespeare's Macbeth will enjoy Nesbo's re-telling. In other words, I do not believe you need to be familiar with the original work to enjoy this version. Thank you to Crown Publishing and NetGalley who provided me with a copy of this book in exchange for an honest review. King of Norwegian crime fiction soaked in blood, Jo Nesbø is the perfect choice for a retelling of Shakespeare's Macbeth. I say this having listened to Jo's adrenaline pumping The Snowman, The Leopard, Phantom, Police and The Son. I'm in good company. James Shapiro has been teaching Shakespeare at Columbia University for nearly 40 years and his New York Times review of the novel is glowing: "One of the pleasures of reading this book is watching Nesbø meet the formidable challenge of assimilating elements of the play unsuited to realistic crime fiction, especially the supernatural: the witches, prophecies, visions, and the mysterious figure of Hecate." As the 11th century of Shakespeare's Scotland contained those hair-raising supernatural elements so in the 1970s of Jo Nesbø's unnamed Scottish city resembling Glasgow we have that all too familiar part of our modern world - hard drugs. And Jo adds to the list yet another eerie, freaky, mind-bender - "Brew," complements of Hecate and his three sinister assistants. I can see why some readers, even Jo Nesbø fans, might give up on the novel - they simply have not read far enough. The action is always brisk but it really kicks into signature spellbinding Jo Nesbø gear AFTER the murder of Duncan. Holy Hogarth! Shimmering Shakespeare! What a difference. Jo does it again - this time a page-turner fueled by murder after murder after murder. 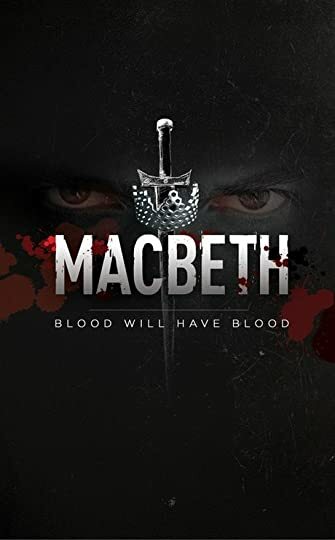 By remaining faithful to the broad outline of the Bard's tragic play, Jo's Macbeth just might tally more murder victims than a fistful of his Harry Hole novels combined. Powerful drug lord, the "Invisible Hand” who rules the city. As diabolical old man Hecate reflects: “You have to make sure you becomes a god yourself. It is easier than you might think. The obstacle to most people achieving god-like status is that they are afraid and superstitious, and in their anxiety-ridden submission they believe there is a morality, a set of heaven-sent rules that apply to all people." No doubt about it, Jo Nesbø’s focus is on human psychology and morality, the conflict between a thirst for power versus conscience and a sense of humanity and decency. One example of Hecate in action: he demands a young boy addict cut out his own eye in exchange for a bag of Brew. "Double, double toil and trouble." Hecate has Strega, a creepy fortunetelling man-woman and two sisters with disease ravaged faces he found in an opium den in Bangkok. A la Shakespeare’s play, the sisters add toads’ glands, bumblebee wings and juice from rats to come up with their instantly addictive, super-high, hallucination producing cocaine concoction of Brew bubbling in a huge caldron in Hecate’s secret laboratory. Armed to the teeth drug dealing motorcycle gang wearing their leather jackets and displaying their tattoos. Sweno, head of the Norse Riders, is a born killer who sets the tone for the gang - - raising hell and committing murder as the ultimate high. The city's factories, warehouses and offices are nearly all shut down and boarded up. The unemployment rate soars. Meanwhile, in addition to the "regular" police, there's the Forensic Unit, Narco Unit, Homicide Unit, Gang Unit, Organized Crime Unit and SWAT. Atop this massive structure is Chief Commissioner Duncan, a good man whose primary aim is to clean up the city and bring back jobs along with a sense of civic pride. But, but. but . . . treachery, treason, corruption, double-dealing and power games within the force abound. Unlike Shakespeare’s play, the shortest of his tragedies, Jo Nesbø’s 500-page novel provides ample opportunity to delve into the backstory of his characters, including Macbeth. Macbeth had a terrible childhood - raised in an orphanage, he was repeatedly sexually abused by the warden. Jo also adds many strokes of color: a one-time circus performer, Macbeth is an expert with a dagger; as a youth prior to joining the police, Macbeth was a drug addict; Macbeth was in love with Meredith, a young beauty who later left him to marry his dearest friend Duff (Macduff in Shakespeare). As Chief Commissioner, urged on by Lady, Macbeth increasingly feels all the pressure. He must steel his nerves and resolve since his old insecurity in being raised as an orphan returns. Macbeth needs help, chemical help, that it. Macbeth turns to Hecate to fulfill his need – Brew. Ah, Macbeth has the perfect balance of medication and feels the power surging through his heart and brain. Now nothing can stop Macbeth. He can even deal with the ghosts he starts seeing both during the day and in his dreams at night. Alas, there’s another consequence of snorting Brew – it makes the user paranoid. Here’s Macbeth telling Lady about Banquo, the man who brought him into the police force in the first place: “He loved me like a father loves a son, but that love turned to hatred when he drank the poison of envy. I passed him on the way up, and instead of him being my boss I became his. And as well as obeying my orders he has had to tolerate the unspoken contempt of his very own blood. Fleance, who has seen his father bow his head to the cuckoo in the nest, Macbeth.” Double toil and trouble - if paranoia goes too far, everybody you come in contact with becomes a threat, an enemy. And if the paranoid individual has unlimited power, watch out! The ultimate solution – murder. In the novel, Lady Macbeth is always Lady. Lady isn’t so much a wife for Macbeth as she is the ravishing beauty with her long flowing red hair (nice touch, Jo!). Lady as the ultimate Femme Fatale. Similar to Macbeth, Lady’s backstory isn’t pretty: she was also brutalized and abused as a child. But what Lady lacks in background, she makes up in intelligence, cunning and ambition. Lady is the owner of a large, luxurious casino hotel, The Inverness, in the heart of the city. Unlike the Bard’s play, Macbeth and Lady only go back a few years. Their love still burns bright, an intoxicating flame. For fans of Shakespeare and/or fans of Jo Nesbø, Macbeth is a must read. It is a long novel but well worth the investment of time and energy. And if you enjoy audio books, there’s good news: Euan Morton provides an excellent narration of the book using a Scottish accent. Again, I can’t stress enough – don’t give up on the novel too soon as the action truly revs up beginning one hundred pages in, in Chapter 10, with the murder of Duncan. Jo Nesbo, with his Scandi-Noir credentials, reinterprets Shakespeare's Macbeth within the provinces of a police force in the 1970s in a bleak declining town riven with gang warfare, drug addiction, corruption and all other manner of darkest deeds and where little differentiates the cops from the criminals. This novel mostly follows the trajectory of the original play, albeit in a suitably blood drenched and twisted fashion. Nesbo gives us a tale of ruthless political ambition, betrayal, treacher Jo Nesbo, with his Scandi-Noir credentials, reinterprets Shakespeare's Macbeth within the provinces of a police force in the 1970s in a bleak declining town riven with gang warfare, drug addiction, corruption and all other manner of darkest deeds and where little differentiates the cops from the criminals. This novel mostly follows the trajectory of the original play, albeit in a suitably blood drenched and twisted fashion. Nesbo gives us a tale of ruthless political ambition, betrayal, treachery and murder, with a mesmerising and compelling antihero in the ex-drug addict, Macbeth, as the head of the heavily armoured SWAT team with a troubled past from which he was rescued by Banquo. The Police Commissioner is none other than Duncan, with Malcolm as his deputy and Duff heads the Narcotics unit. Recently promoted after a policing debacle, Macbeth has a skill and penchant for daggers despite the armoury of weapons at his disposal. There is an intense, heavily atmospheric, menacing setting of a rain sodden anarchic town, infested with a dense, poisonous, and ominous mist providing the perfect background to the rivers of blood that are unleashed in Macbeth's path to power. The manipulative Hecate is a drug lord serving up the addictive and lethal crack like 'brew' that so many need and cannot exist without. His 'witches' seduce the insecure power hungry Macbeth with the prophetic promise of the highest office of Police Commissioner, providing he leaves the drug business alone. Macbeth is egged on by the casino owner and his love, Lady, but needs to partake of the 'brew' to access the murkier qualities of his younger self to find the courage required to stab Duncan in his sleep, whilst laying the blame elsewhere. Macbeth succeeds beyond his wildest dreams, but all is not well. The delusional Macbeth's life begins to unravel at a startling rate with the rising tide of the dead as he descends into a drug fuelled psychotic haze of paranoia and hallucinations where everyone is suspect and a threat that has to be eradicated. If you are familiar with the play, then you will be aware of where all this is heading, although not quite perhaps in the way you might expect. First and foremost, a large thank you to NetGalley, Jo Nesbø, Hogarth, and Crown Publishing for providing me with a copy of this publication, which allows me to provide you with an unbiased review. Contributing to the Hogarth Shakespeare collection, Jo Nesbø has created a modern retelling of the Bard’s Macbeth. Set around 1970, the story opens with a police raid on a local gang running narcotics. When the authorities bungle things exquisitely, leaving blood and bodies scattered around the clubhou First and foremost, a large thank you to NetGalley, Jo Nesbø, Hogarth, and Crown Publishing for providing me with a copy of this publication, which allows me to provide you with an unbiased review. Contributing to the Hogarth Shakespeare collection, Jo Nesbø has created a modern retelling of the Bard’s Macbeth. Set around 1970, the story opens with a police raid on a local gang running narcotics. When the authorities bungle things exquisitely, leaving blood and bodies scattered around the clubhouse, heads must roll within the police force. During the shake-up, Macbeth is brought on as the new head of Organised Crime, set to turn his men into a respectable arm of the force. Learning of her husband’s new position, Lady Macbeth encourages her husband to continue his climb, which is further supported by a high-level crime boss, Hecate. During one of Macbeth’s visits to Hecate, three substance-altered prostitutes foresee Macbeth’s rise to the position of Chief Commissioner, at the top of the entire police force. With a number of officials ahead of him, Macbeth is unsure how he will accomplish this, happy to run Organised Crime for the time being. Lady Macbeth can see a clear path to the top and knows her husband has it in him, if only he will bend the rules to better his chances. She convinces her husband to murder the current Chief Commissioner and frame another official, which he agrees to do while under the influence of narcotics. From there, one murder begets others to cover-up the trail being left. Even when the sought-after position is achieved, neither Macbeth or his wife are satisfied. However, their paranoia force more cover-ups and the need to constantly look over their shoulders. It would seem that power is the most addictive drug of all, one that cannot be sated by a simple snort or needle. Might the rise to power lead to a devastating crash into oblivion? Nesbø weaves quite the tale, using the framework Shakespeare made famous, providing his fans and those who enjoy the Bard’s work quite a great story. Hogarth did well picking Nesbø to explore this dark tale. Nesbø has quite a dark side when writing for his adult audience, though is also well-versed in creating police thrillers that keep the reader engaged. Some love his writing—as well as the darker side of crime that emerges from the narrative—while others find his work too dense to enjoy, as it is not easily digested. I found myself straddling both camps here, though was able to forge ahead when I gained enough momentum (and time to read!). Macbeth is, of course a central character in the piece and Nesbø does a wonderful job portraying this man as someone who is in touch with his passions, but soon becomes swept up by all the power that is laid at his feet. One can only presume that it is the influence of his power-hungry wife and the influence of narcotics that led him down such a difficult path, one that would be paved in gold, only to reveal tarnished brass by the end of the book. Other characters emerge to support and block Macbeth’s climb to power, adding depth and flavour to the narrative, including those who see Macbeth for the corrupt leader he becomes. The story is strong and ties nicely into the original narrative laid out over four centuries ago. Using the same characters and most of their fates, Nesbø stays true while also modernising the story in an effective manner. Fans of Shakespeare will surely find their own weaknesses, but in an effort to entertain effectively, Nesbø is spot-on with his storytelling. Mixing short and longer chapters, the reader is able to develop a connection to the story and its characters, as long as a steady momentum is kept. As with all Nesbø pieces, the translation does not take away from the power of the message found within and, if anything, provides an even stronger piece. Kudos, Mr. Nesbø, for another excellent piece of writing. While your style is an acquired taste, those with the patience for it are surely in for a wonderful adventure. What a cast of ruthless psychotic killers! Is anyone NOT a cold blooded assassin in Jo Nesbo's reimagined take of Shakespeare's MACBETH? Is there even a hero to root for? Well, you'll have to read it to find out. Having not experienced the classic myself, I have nothing to compare to, but will surely be reading it sooner than later. My interest is now peaked! DARK and DEADLY from start to finish, I could not believe the betrayals....the backstabbing....the threats....the blackmail....the corruption, or the NUMEROUS egotistical power hungry political types. No human, regardless of age, is exempt from murderous annihilation....so beware, some parts are pretty tough to take. I did have my ups and downs with this novel. At times, it felt a bit long and wordy, but then Nesbo would throw in another bizarre character type or development and I was hooked again. As the story begins, it's raining....it's ALWAYS overcast and rainy in the small polluted town of 6,000. There's a wasteland of industrial factory closings and no jobs....except in the two rivalry casinos or law enforcement....or unless, of course, you're a drug lord or dealing junkie. AND NOW, after 25 years, corrupt Police Commissioner Kenneth is finally dead, and it seems everyone is vying for his job or others that will become available bc of anticipated change....thus the battle for power begins. Who can clean up the town? Is there a savior? Just remember, no one can be trusted in Nesbo's MACBETH and there's much going on here....lots of strange characters to follow. I have not even made mention of the Norse Riders, the mysterious Lady Macbeth, other worldly beings (that took me by surprise)....or the ending, hehehe, but enough said already. If Nesbo is your man, you have a little patience, and you're in the mood for a treacherously creative tale, you'll like this one. Many thanks to NetGalley and CROWN PUBLISHING for the ARC COMING APRIL 10, 2018 in exchange for my review. 2.5 "hazy, lazy, Tarantino " stars !!! Like a Tarantino film this has blood, gore, lots and lots of action, hot babes, strong dudes and kept you entertained from beginning to end. I am not sure that this is what I wanted from a re-telling of Macbeth. I found this book lazy and hazy. Characters that had no depth, cheap psycho-babble explanations and tons of conveniences that would just pop up to carry the quick plot along. On a beach this might be great 2.5 "hazy, lazy, Tarantino " stars !!! On a beach this might be great fun but as a modern adaptation of a masterwork I found it severely lacking !! Yes I liked it, yes I really did but I cannot in good conscience give it more than 2.5 stars ! I will give Nesbo another go at some point but I wished he had worked much harder on this one. The Hogarth Shakespeare project invites current writers to update Shakespeare’s plays, setting them in modern times with modern characters. "Macbeth" by Jo Nesbø is a retelling of Shakespeare's play "Macbeth", which was set in the Middle Ages. The original story centers around a high-ranking Scottish military leader named Macbeth who - urged on by his ambitious wife Lady Macbeth - secretly murders the King so he can take the throne. Afterwards, the usurper becomes a murderous tyrant who orders the death of anyone who opposes him or threatens his power. I'll admit that - to refresh my memory before reading Nesbø's book - I watched the 2010 movie "Macbeth" starring Sir Patrick Stewart and Kate Fleetwood. Nesbø's retelling of Macbeth, set in the early 1970's, substitutes the police department of a downtrodden European city for the Scottish royal court. 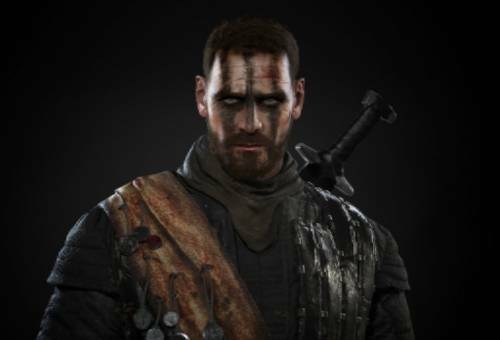 In Nesbø's story, Macbeth is the head of a SWAT team who - persuaded by his girlfriend Lady - murders the police department's Chief Commissioner to take over his position. Macbeth then engineers the death of anyone who suspects him of murder or endangers his position. Macbeth has no loyalty and no conscience. Early in the story Macbeth orders the death of Banquo, a father figure who took Macbeth in when he was a homeless teenage addict.....and cleaned him up. Later on, Macbeth sends his henchmen to wipe out Duff, a steadfast friend from childhood who saved Macbeth from a child predator in their orphanage. All manner of things are seen in this book, including: ghost appearances; witches; spying; double dealing; gambling; drug snorting; a motorcycle gang; gatling gun massacres; sleepwalking; adultery; a demon; and more. There's a wide variety of action and intrigue....and even a bit of seduction and romance. Overall, Nesbø's book (more or less) faithfully follows the trajectory of the original play, so - if you're familiar with that - you'll have an idea of what happens. 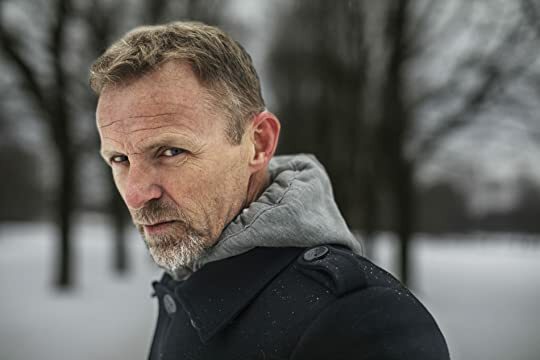 Jo Nesbø is the best-selling author of the 'Harry Hole' detective series - about a troubled, alcoholic Norwegian cop whose cases always involve gruesome murders. Thus, it's natural for Nesbø - who seems very familiar with the politics of law enforcement - to set his updated "Macbeth" in the environs of a police force. Nesbø's tale is well-written, compelling, and held my attention throughout. That said, the book feels overlong - with so many murders and battles that they feel repetitive. Moreover, the continuous treachery and barbarity becomes hard to stomach (for me). Nevertheless, I'd recommend Nesbø's "Macbeth" to readers who enjoy Shakespeare; the Hogarth series; and/or thrillers. It's well worth reading. Thanks to Netgalley, the author (Jo Nesbø), and the publisher (Knopf Canada) for a copy of the book. I always think Macbeth is one of the most memorable of William Shakespeare's plays. It has some of the most quotable quotes and outstanding characters. Who can forget Lady Macbeth washing her hands over and over, and that great scene on the moor with the three witches and the cauldron. Well Jo Nesbø takes all that and the rest and makes it into the best book! However it is not a light read. There are many long, descriptive passages and the characters frequently dwell at length on their own partic I always think Macbeth is one of the most memorable of William Shakespeare's plays. It has some of the most quotable quotes and outstanding characters. Who can forget Lady Macbeth washing her hands over and over, and that great scene on the moor with the three witches and the cauldron. Well Jo Nesbø takes all that and the rest and makes it into the best book! However it is not a light read. There are many long, descriptive passages and the characters frequently dwell at length on their own particular ambitions or failures. To counteract this there is a heap of action, more murders than you can count, and the constant references to the original play which are just so well done. I loved the setting of a dark, depressing northern industrial town. I admired the way Jo Nesbø managed to weave things like the witch's prophecies into his tale, especially the one about Birnham Wood. That was amusingly clever. I liked the way he kept each character so close to the way Shakespeare wrote them in mannerisms and ambitions even when he changed their gender! A tour de force of brutality & ambition!!! I was so excited when it was announced that the Hogarth Shakespeare series was adding Macbeth to its line up. It is my favorite of all Shakespeare's tragedies and I was looking forward to seeing how Nesbo would give it a modern twist. I have never read any of his books before but having heard good things, I went into this with high expectations. He certainly did not disappoint! The action takes place in a crime-ridden city in the 1970s. Drug dealers A tour de force of brutality & ambition!!! 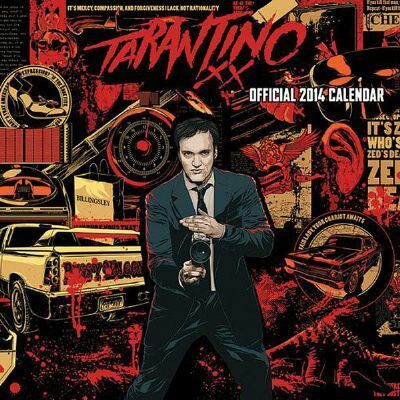 The action takes place in a crime-ridden city in the 1970s. Drug dealers and local crime lords hold as much power and sway over the people as do the police and politicians. The whole atmosphere is dark and visceral; you can smell and feel the dankness and despair. You are instantly dropped into this world and admittedly, at first, I was a bit confused as you are right in the action and all the players are already there. However, it didn't take long (about 15% on an e-reader) before the tale truly starts to take shape and for me, I was so engrossed, I couldn't put it down. The characters are true to their roots and I felt that the main premise of the action was extremely well planned and executed. The modern versions of the plot points were richly imagined and expertly woven into the final narrative. Macbeth, so strong and weak at the same time, so influenced by his Lady, easily steered, brutal yet kind, haunted and driven. Ughhh, it was soooo good! No one in this town was safe once Macbeth and Lady were set on their ultimate drive to power - aspirations and political intrigue, love for one another, plagued by their pasts - their relationship was just so spot on, there is no better way for me to describe it. Finally, Slytherin book recommendation all day long. This is a brutal, blood soaked reimagining of Shakespeare's classic play. And when I say there's some death in it, I seriously mean it, once the book gets going you'd be forgiven for thinking there might not be anyone left by the end. Of course, if you've read Macbeth, you know how at least three of the characters end up (everyone always remembers the main three). Still, that does nothing to negate the constant sense of danger that pervades the book, the who's-next paranoia such as that felt by This is a brutal, blood soaked reimagining of Shakespeare's classic play. And when I say there's some death in it, I seriously mean it, once the book gets going you'd be forgiven for thinking there might not be anyone left by the end. Of course, if you've read Macbeth, you know how at least three of the characters end up (everyone always remembers the main three). Still, that does nothing to negate the constant sense of danger that pervades the book, the who's-next paranoia such as that felt by Game of Thrones readers/viewers. My paperback copy of this is even red-edged, exacerbating the feeling that real blood might well start seeping from the pages at any moment. However, it does has a slow start, and more than that, there are some issues with either the writing or the translation that separate the reader from the story and characters in some way. I wanted to like this one and I was worried. Then suddenly you realise you've gone from 'this is hard work' to being so involved you're barely noticing anything but the momentum of the plot and wondering just how crazy this is going to get. Answer: very. It's deliciously dark right to the end. Macbeth starts out a SWAT team leader in a dank and decaying 1970s Scotland, while his Lady runs the most opulent casino in town with a mixture of intelligence and cunning; yet their schemes aim much higher. The whole place stinks of corruption, full of backstabbing, personal vendetta, and ambition at all costs. As with the original, it is a masterful take on human psychology: the physical, emotional, and intellectual damage done by the relentless acquisition of power. This modern version adds addiction to the mix, effectively quickening Macbeth's decline into immorality and psychosis. While Macbeth falls, his childhood friend, Duff, rises, his character particularly well developed though the book, evolving under pressure as he is asked again and again to analyse his own principles. Each person is constantly challenged, the reader seeing the extent to which their choices reflect or reject their personal morality, such as it is.... It is exceptionally well done, the reimagining fitting perfectly with the themes of the original while offering insights and more than a little fun to the contemporary reader. ΠΡΟΣΟΧΗ! Για την κριτική του βιβλίου θεωρώ ότι γνωρίζετε πως ο Μακβεθ είναι μια τραγωδία του Σέξπιρ όπου οι περισσότεροι ήρωες σκοτώνονται με τραγικό τρόπο και πως ο ομώνυμος ήρωας τρελαίνεται. Για τηλεοπτική μεταφορά προτείνω Φασμπέντερ-Κοτιγιάρ (και ξερό ψωμί). ένα εκπληκτικό re-telling της γνωστής ιστορίας από τον μάστερ του αστυνομικού θρίλερ... ανατριχιαστικές περιγραφές και πολύ πετυχημένα δοσμένη η παράνοια του ομώνυμου ήρωα... εκπληκτικός και ο ρόλος των υπόλοιπων ηρώων σε ένα βιβλίο 600 ΠΡΟΣΟΧΗ! Για την κριτική του βιβλίου θεωρώ ότι γνωρίζετε πως ο Μακβεθ είναι μια τραγωδία του Σέξπιρ όπου οι περισσότεροι ήρωες σκοτώνονται με τραγικό τρόπο και πως ο ομώνυμος ήρωας τρελαίνεται. Για τηλεοπτική μεταφορά προτείνω Φασμπέντερ-Κοτιγιάρ (και ξερό ψωμί). ένα εκπληκτικό re-telling της γνωστής ιστορίας από τον μάστερ του αστυνομικού θρίλερ... ανατριχιαστικές περιγραφές και πολύ πετυχημένα δοσμένη η παράνοια του ομώνυμου ήρωα... εκπληκτικός και ο ρόλος των υπόλοιπων ηρώων σε ένα βιβλίο 600+ σελίδων που διαβάζεται μονορούφι! Από τα ονόματα όσοι ξέρετε την ιστορία του Σαίξπηρ μπορείτε να καταλάβετε το ρόλο των ηρώων, όπου νομίζω ότι όλους τους έχει δέσει στο σήμερα και στην ιστορία πάρα πολύ ωραία. Ναρκωτικά και διαφθορά της αστυνομίας είναι από τα θέματα που ο Νέσμπο χειρίζεται τέλεια ούτως ή άλλως, ενώ - προς μεγάλη του χαρά - αυτή τη φορά πρέπει να ξεκάνει ένα ολόκληρο αστυνομικό τμήμα και κάποιες αθώες οικογένειες μαζί!!! Προσωπικά βρήκα πιο εμπνευσμένη μεταφορά χαρακτήρα τις τρεις μάγισσες. Επίσης, επειδή είχε γίνει κάποια σχετική συζήτηση τις προάλλες σε κριτική μου για τον Ράνκιν, εδώ έχουμε ΣΚΩΤΙΑ (δεν ονομάζει την πόλη, κάπου δίπλα στο Φάιφ είμαστε, αλλά και το Εδιμβούργο εκεί κοντά είναι) και ΣΥΜΜΟΡΙΕΣ και ΜΕΓΑΛΟ ΑΡΧΗΓΟ ΤΟΥ ΕΓΚΛΗΜΑΤΟΣ. Εδώ που ο Νέσμπο συναντάει τον Ράνκιν για μένα λοιπόν!! Άθελά μου έπεσα σε κριτική γεμάτη σποιλερ. Την επόμενη φορά που θα διαβάσετε ένα βιβλίο και θέλετε να εκφράσετε την αποψή σας, να είστε πιο προσεκτικοί. Δεν έχω διαβάσει Σαίξπηρ, έίναι ανάγκη να αραδιάζετε ορισμένοι όλη την πλοκή? When I was in high school, I was that weird girl in your english lit class who actually liked Shakespeare. The Hogarth Shakespeare project gave 8 authors a chance to recreate one of the Bard’s classic plays & when I heard Jo Nesbo was taking on MacBeth, I had to read it. And he’s done a remarkable job. It’s a daunting challenge. After all, we already know who did what & how it ends. But Nesbo has given it a modern facelift by turning it into a dark, violent tale of cops vs criminals set i When I was in high school, I was that weird girl in your english lit class who actually liked Shakespeare. The Hogarth Shakespeare project gave 8 authors a chance to recreate one of the Bard’s classic plays & when I heard Jo Nesbo was taking on MacBeth, I had to read it. And he’s done a remarkable job. It’s a daunting challenge. After all, we already know who did what & how it ends. But Nesbo has given it a modern facelift by turning it into a dark, violent tale of cops vs criminals set in an unnamed city drowning in drugs & corruption. Poor old Duncan is the shiny new Chief Commissioner of police while MacBeth heads up the SWAT team. Other familiar names have been assigned to characters on both sides of the law, their roles staying true to the originals. I won’t dwell on the story except to say this is decidedly bloodier than “the Scottish play”. But there are several things that make it work. First, the setting. Nesbo vividly describes his city & it’s a pretty bleak place. Relentless rain, dark streets full of skeletal junkies & rusted out factories litter the landscape. Now add in cops & politicians who have been bought & paid for by the rival drug gangs that rule the city. The result is a grim & gripping read that practically oozes moral decay. And that of course is the point. Shakespeare wanted to shine a light on the psychological & physical ramifications for those who seek power for power’s sake, how ambition without morality leads to carnage. He also distinguished between the sexes. Not that women can’t be just as reprehensible. It’s just their methods that differ. In this story, MacBeth’s wife may not care to actually get her hands dirty but she’s more than capable of inciting violence with well chosen words whispered in the right ears. Nesbo has nailed the themes & even sneaks in symbolic moments such as blood that won’t wash off. What I found most startling is how relevant something written over 400 years ago still is. But then all you have to do is read the news to find modern examples of his characters. It’s not an easy read but Nesbo pulls it off with style. The only negative for me was the abundance of long descriptive passages that stalled mounting tension at times. HOLY COW. This book is freaking brilliant. It’s a dense read to be sure - but that is NOT a flaw. In fact I think that’s necessary in order to capture the moral complexity of Shakespeare’s play. This book has action thriller scenes, political machinations, and Nesbø’s trademark superb character development. I loved it!!! Δεν ξέρω αν ήταν αριστουργηματική ιδέα ή απλώς η εύκολη λύση όταν υποφέρεις από το σύνδρομο της λευκής σελίδας, το retelling μιας all time classic σαιξπηρικής τραγωδίας, εν προκειμένω του «Μάκβεθ». Θέλοντας προφανώς να πετάξει από πάνω του για λίγο ή πολύ δεν έχει σημασία τον Χάρι Χόλε (αυτό είναι η ευχή και η κατάρα των πετυχημένων sequel ηρώων, να παγιδεύουν τον ίδιο τον δημιουργό τους), ο Νορβηγός συγγραφέας δοκιμάζει κάτι άλλο, πάντα στα πλαίσια του νεσμπουκικού περιβάλλοντος, αστυνομικοί καλοί και κακοί, αίμα πολύ αίμα, διαφθορά, ναρκωτικά, μια πόλη σε παρακμή. Ο Νέσμπο πατάει ακριβώς πάνω στ’αχνάρια του Σαίξπηρ, χρησιμοποιεί ακριβώς τα ίδια ονόματα στους ήρωες του, τα ίδια πάθη και λάθη, δημιουργεί ένα ‘ευφάνταστο’ εύρημα όπου η εξουσία – το αιώνιο ναρκωτικό, πλέκεται με τον κόσμο των dealers, των junkies κι ενός νέου ναρκωτικού στην πιάτσα, του ‘φίλτρου’. Με το ζόρι πιάνει τη βάση γιατί είναι Νέσμπο και δεν πάει στην τσιγγάνα μου καρδιά να τον καταβαραθρώσω… αχ! πολύ φοβάμαι πως οι παλιές αγάπες σύντομα θα πάνε στον παράδεισο! I am already a fan of Jo Nesbo novels so was probably always going to get round to reading his contribution to the Hogarth Shakespeare project where current writers are invited to update Shakespeare’s plays, setting them in modern times with modern characters. If I am completely honest it did take me a while to get fully submerged in this one. The story is set in the 1970's with the Police force trying to eradicate it's serious drug problem. Macbeth is the head of the SWAT team and he has addict I am already a fan of Jo Nesbo novels so was probably always going to get round to reading his contribution to the Hogarth Shakespeare project where current writers are invited to update Shakespeare’s plays, setting them in modern times with modern characters. If I am completely honest it did take me a while to get fully submerged in this one. The story is set in the 1970's with the Police force trying to eradicate it's serious drug problem. Macbeth is the head of the SWAT team and he has addiction issues of his own and faces a drug lord named Hecate, who has connections and sees himself manipulating Macbeth. This is an interesting experiment and although you don't need to be well educated in the original Shakespeare version I found it added to the intrigue and interest. A book that gets better the more you read. I have heard quite a bit of praise for Jo Nesbo in the past and saw this as a chance to evaluate the author. I loved the setting and the descriptions. 1970s gritty is perhaps my favorite setting for fiction. I grew up in the 1960s and 70s in a very gritty city myself. I really like the start of the book but after a while, the Shakespeare seemed forced into the story. It was like the story and the Shakespeare were fighting each other for dominence. I could not fall into the story. γι'αυτό και ο κύριος Νέσμπο είναι ο κυρίαρχος του παιχνιδιού, ακόμα και στο retelling σαρώνει! For several years now, modern authors, acting under the auspices of the Hogarth Shakespeare Project, have reimagined Shakespeare's classic plays some 400 years after he wrote them. Before reading this book I was entirely unfamiliar with either the Hogarth Project or any of Nesbo's books. Let me be entirely frank when I say that Nesbo hit a grand slam with this amazing noir-filled literary masterpiece. For those who know MacBeth, it's all here from the grimy foggy moors to the haunting dreams to For several years now, modern authors, acting under the auspices of the Hogarth Shakespeare Project, have reimagined Shakespeare's classic plays some 400 years after he wrote them. Before reading this book I was entirely unfamiliar with either the Hogarth Project or any of Nesbo's books. Let me be entirely frank when I say that Nesbo hit a grand slam with this amazing noir-filled literary masterpiece. For those who know MacBeth, it's all here from the grimy foggy moors to the haunting dreams to the three witches of prophesy to the deaths escalating till there's few left to the Lady MacBeth washing her bloody hands over and over again till they are scraped raw. But the genius of Nesbo's work here is that, even if you put Shakespeare aside, it's a powerful feast of dark gritty crime fiction, delving into waves of power-hungry madness, guilt, betrayal, and loyalty. From the very first pages setting the stage in this stagnating old industrial town where the harbor is filled with rotting carcasses of rusty freighters to the back alleys filled with drug addicts desperate for their next fix, this book is tremendous. There's biker gangs and casinos and SWAT teams and a scramble for leadership in a rotting corrupt police department. “Macbeth” is the second book in the Hogarth Shakespeare series that I have read. The Hogarth project sees “Shakespeare’s works retold by bestselling novelists of today.” The premise of “Macbeth” is clever. It takes place in the 1970s in a dingy postindustrial town and Macbeth is a Police Inspector, who rises very quickly to the top Police Commissioner’s spot through the machinations of a drug lord (Hecate). The Inverness Castle of Shakespeare’s play becomes a casino run by Macbeth’s wife (Lady). There are a myriad of crafty devices like this in the novel. It works well, and I enjoyed seeing Jo Nesbø incorporate those little details throughout the text. The problem is, I am not sure that if I was not enjoying the book for this aspect if I would have liked it all that much. 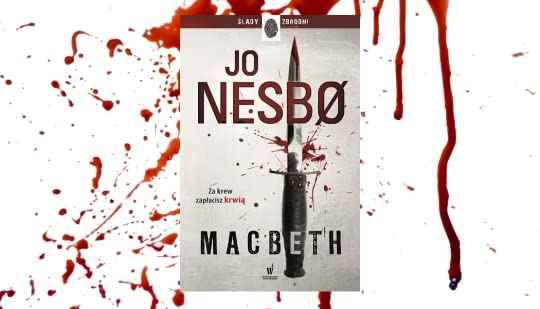 Do Nesbø fans if they do not know anything of Shakespeare’s “Macbeth” like this novel? A highlight is Chapter 10, which depicts the murder of Duncan, Macbeth’s boss in this version. Nesbø captures very well in this chapter that moment of “no return”. The moment a decision is made that there is no coming back from. It is tense! Another nice element is the constantly changing point of view. We jump inside multiple character’s heads in each chapter, which keeps the plot moving along and the ever changing perspective is more interesting for the reader. Hecate in the text is a drug lord (who seems to be in Nesbø’s hands a stand in for the Devil and his corrupting power). Compared to the role Hecate plays (mostly offstage) in the source material it is an idea that works well. Some criticisms include a stupid scene in chapter 22. In it we get treated to a press conference that feels like it is from a movie script. And that is not a good thing. It is a very hackneyed moment. The last two chapters of the book are also glaringly weak considering what preceded it. When I finished the text I was kind of blasé about it. I have read better Nesbø. But there are lines like the following scattered throughout that made me take a moment. “But do you know what is lonelier than never having anyone? It is believing you had someone, but then it turns out that the person you thought was your closet friend never was.” That says a lot right there. Banquo’s famous lines shed light on the treachery within treachery within treachery that makes Shakespeare’s Scottish play so intriguing. The Hogarth Shakespeare series commissioned modern writers with the task of recreating some of the Bard’s most compelling plays into a contemporary setting. The Hogarth folks picked Jo Nesbo for the retelling of Macbeth and his selection was where this amazing book started off on the right track. A Norwegian crime writer best known for his gritty Nordic Noir hero Harry Hole, Nesbo brought his style and uniquely dark presence to this decidedly morose and gloomy tale. Nesbo’s Macbeth is a police inspector in the 1970s. His kingdom to be won by ambition and perfidy is the chief commissioner seat in a town far away from the shining lights of the Capital, a town overrun by crime and ruled from the shadows by Hecate. The corruption described also made me think of Don Winslow’s 2017 bestseller The Force. Nesbo follows Shakespeare’s story but adds timely flavor and color, while also retaining some of the mystical elements of the play. Lady Macbeth is just Lady, a former prostitute and madam who now runs a swanky casino on the outskirts of town. The tale of blind, reckless ambition and the guilt that comes with winning at all costs is as good now as it was 400 years ago. A recurring theme in Nesbo’s work is addiction and he seems to have a firm grasp on how to describe this obsessive disorder and how it affects not just the addict but those around them. Bloody, sometimes gruesome, dark and foreboding, this is another excellent story from the Hogarth collection. For Nesbo and Shakespeare fans and anyone who enjoys good crime fiction. This is quite a brutal and blood soaked remake of Shakespeare's play. If you have read the original book then you already know that there is a lot of blood shed. This book has been given a modern take to it, turning it into a dark and brutal story of cops versus criminals. This book has more blood shed in it. It's all here in this novel; the f When a drug bust turns into a bloodbath, it's up to Inspector MacBeth and his team to clean up the mess. He's also an ex-drug addict with a troubled past. This is quite a brutal and blood soaked remake of Shakespeare's play. If you have read the original book then you already know that there is a lot of blood shed. This book has been given a modern take to it, turning it into a dark and brutal story of cops versus criminals. This book has more blood shed in it. It's all here in this novel; the foggy moors, Lady MacBeth washing her hands over and o read until they bleed, the three witches of prophecy to the deaths which escalate until you think there will be no one left. This book stays true to the classic. Jo Nesbo has done a great job with this classic. It has a dark and gritty storyline. It must have been daunting rewriting this classic. Jo Nesbo seems to have done it effortlessly. I loved this book even though it seemed a bit slow to start with. Εξαιρετικό retelling της γνωστής ιστορίας του Σαίξπηρ. Θα μου πείτε πως το λέω έτσι ελαφρά την καρδία δεδομένου ότι δεν έχω διαβάσει τον Μάκβεθ του Σαίξπηρ αλλά γνωρίζω απλά σε γενικές γραμμές την ιστορία. Θεωρώ εν τούτοις ότι ο Νέσμπο έχει κάνει με αρκετή δεξιοτεχνία την προσαρμογή στο σήμερα στήνοντας μια σύγχρονη ιστορία δράσης που διαβάζεται άμεσα και εύκολα δίνοντας έτσι τη δική του πινελιά στην διάσημη σαιξπηρική ιστορία. Δεν είναι εύκολο να πιάσεις μια τόσο κλασσική ιστορία και να τη φωτί Εξαιρετικό retelling της γνωστής ιστορίας του Σαίξπηρ. Θα μου πείτε πως το λέω έτσι ελαφρά την καρδία δεδομένου ότι δεν έχω διαβάσει τον Μάκβεθ του Σαίξπηρ αλλά γνωρίζω απλά σε γενικές γραμμές την ιστορία. Θεωρώ εν τούτοις ότι ο Νέσμπο έχει κάνει με αρκετή δεξιοτεχνία την προσαρμογή στο σήμερα στήνοντας μια σύγχρονη ιστορία δράσης που διαβάζεται άμεσα και εύκολα δίνοντας έτσι τη δική του πινελιά στην διάσημη σαιξπηρική ιστορία. Δεν είναι εύκολο να πιάσεις μια τόσο κλασσική ιστορία και να τη φωτίσεις με το δικό σου τρόπο και να την κάνεις ελκυστική δεδομένου ότι γνωρίζεις προκαταβολικά τι θα συμβεί. Το βιβλίο που θα πάρετε στα χέρια σας δεν είναι το τέλειο αστυνομικό βιβλίο και η ιστορία που δε θα ξαναδιαβάσετε ποτέ αλλά περισσότερο το βλέπω ως την πόρτα αν θέλετε που άνοιξε ο συγγραφέας στο να γράψει εκτός του δικού του στυλιζαρισμένου ύφους και να πειραματιστεί με την ανάγκη του να δημιουργήσει νέες ιστορίες. Δεν είναι πολύ εύκολο μεταξύ μας να πάρεις μια έτοιμη ιστορία πόσο μάλλον του Σαίξπηρ και να την κάνεις δική σου. Είχα διαβάσει σχετικά πρόσφατα και την τρικυμία του Σαίξπηρ δια χειρός Μάργκαρετ Ατγουντ και δεν μπορώ να πω ότι ενθουσιάστηκα. Εν τούτοις έχω την αίσθηση ότι σαν βιβλίο υπάρχει πιθανότητα να μην καλύψει στον απόλυτο βαθμό τους πιστούς νεσμπομάνιακς που περιμένουν με αγωνία κάθε του βιβλίο. Μην περιμένετε ότι θα ξεπεταχτεί ο Χάρι Χόλε ούτε ότι θα διαβάσετε βιβλίο πανομοιότυπο με την σειρά ιστοριών του διάσημου πλέον αστυνομικού ήρωα. Μέσα στο Μάκβεθ θα βρείτε γνωστά στοιχεία της γραφής του Νέσμπο όπως για παράδειγμα την κινηματογραφική εξέλιξη των γεγονότων αλλά παράλληλα θα βρείτε και την ανάγκη για αλλαγή. Αντικειμενική με βιβλίο του Jo Nesbo δεν θα μπορούσα ποτέ να είμαι και αυτό το βιβλίο δεν αποτελεί εξαίρεση. Αν και για να πω την αλήθεια σε μια ακρούλα στο πίσω μέρος του μυαλού μου διατηρούσα μια μικρή αμφιβολία κυρίως γιατί ο Μάκβεθ ανήκει στο Hogarth Shakespeare Project. Έχοντας διαβάσει άλλα δύο βιβλία από τα εν λόγω project και μη μένοντας ευχαριστημένη με κανένα από τα δύο για τους ίδιους σχεδόν λόγους είχα ορισμένες επιφυλάξεις. Γιατί ναι μεν Nesbo, Hogarth Shakespeare Project δε! Ευτυχώς Αντικειμενική με βιβλίο του Jo Nesbo δεν θα μπορούσα ποτέ να είμαι και αυτό το βιβλίο δεν αποτελεί εξαίρεση. Αν και για να πω την αλήθεια σε μια ακρούλα στο πίσω μέρος του μυαλού μου διατηρούσα μια μικρή αμφιβολία κυρίως γιατί ο Μάκβεθ ανήκει στο Hogarth Shakespeare Project. Ευτυχώς όμως ο Jo Nesbo για άλλη μια φορά επιβεβαίωσε τη φήμη του και διέλυσε τις αμφιβολίες μου από τις πρώτες κιόλας σελίδες! Ο συγγραφέας πατώντας πάνω στο θεατρικό έργο γράφει μια αστυνομική ιστορία με όλα τα στοιχεία που τον χαρακτηρίζουν: σκοτεινή ατμόσφαιρα, κινηματογραφικές εικόνες, ψηλοκατεστραμένοι χαρακτήρες, αιματοβαμμένες σκηνές εγκλημάτων και φυσικά δεν λείπουν και τα κοινωνικά θέματα που τον έχουν απασχολήσει και σε άλλα του βιβλία, όπως το θέμα των ναρκωτικών, που ειδικά στο συγκεκριμένο βιβλίο παίζουν ιδιαίτερα σημαντικό ρόλο. Ένα από τα μεγαλύτερα υπέρ του βιβλίου για μένα, ήταν ότι παρ' όλο που ήξερα τι θα συμβεί(έχω διαβάσει το πρωτότυπο) όχι μόνο δεν βαρέθηκα αλλά αντίθετα διάβαζα με αγωνία λες και υπήρχε έστω και μια μικρή πιθανότητα να αλλάξει κάτι. Παρ' όλο το μέγεθός του έχει γρήγορο ρυθμό και συνεχείς εξελίξεις (ειδικά για κάποιον που δεν γνωρίζει την υπόθεση) και ανατροπές (ειδικά μια δεν την περίμενα με τίποτα!!) που -όσο κλισέ κι αν ακούγεται- δεν σου επιτρέπουν να αφήσεις το βιβλίο από τα χέρια σου! Κάτι άλλο που μου άρεσε πάρα πολύ ήταν οι χαρακτήρες. Πρώτον ο τρόπος που από μεσαιωνικούς βασιλιάδες και στρατιώτες μετατράπηκαν σε αστυνομικούς, αρχισυμμορίτες, εμπόρους ναρκωτικών κλπ. Και δεύτερον η εξέλιξη των εν λόγω χαρακτήρων. Το πώς από λογικοί και ηθικοί οδηγούνται σιγά σιγά στην παράνοια, εθισμένοι στην δύναμη, διψασμένοι για εξουσία χωρίς να σκέφτονται το κόστος, τις επιπτώσεις, τις ανθρώπινες ζωές και το αίμα που θα χυθεί. Και χύνεται άφθονο...Διεφθαρμένοι ή αδιάφθοροι, φίλοι ή εχθροί, εγκληματίες ή αθώοι δεν έχει σημασία ποιος ή τι είναι αρκεί να μπαίνει εμπόδιο στον δρόμο που οδηγεί στην κορυφή. Κι όλα αυτά στο όνομα της δικαιοσύνης και του λαού. Τέλος κάτι άλλο που με ικανοποίησε ιδιαιτέρως ήταν ο τρόπος που ο Nesbo χειρίστηκε την μαγεία που υπήρχε στον Shakespeare και μάλιστα βρήκα τον τρόπο ιδιαίτερα ευρηματικό! Δεν ήθελα να δω καθόλου κάποιο φανταστικό/μεταφυσικό στοιχείο και δεν είδα! Εν τέλει ο Μάκβεθ αποδείχθηκε από τα πιο πετυχημένα retellings που έχω διαβάσει καθώς πατάει με πολύ έξυπνο τρόπο πάνω στο αρχικό έργο και ταυτόχρονα ο συγγραφέας καταφέρνει και διατηρεί το ύφος και τα στοιχεία που τον χαρακτηρίζουν χωρίς να φαίνεται στιγμή ότι περιορίζεται από το πρωτότυπο. (view spoiler)[- Τζακ ελεεινέ τιποτένιε προδότη δεν αξίζεις την συμπάθεια που σου έδειξα!!!!!!! - Επειδή ήξερα ότι στο τέλος ο Μάκβεθ πεθαίνει τον λυπόμουν απίστευτα πολύ σε όλο το βιβλίο! Εντάξει μπορεί να μην ήταν και ο καλύτερος άνθρωπος στον κόσμο αλλά κρίμα ήταν....δεν έφταιγε αυτός!! η άλλη η μην-πω-καλύτερα έφταιγε!! αυτή τον παρέσερνε!!!!! Joe Nesbø's Macbeth is a standalone retelling of William Shakespeare's Macbeth with a modern day, Joe Nesbø crime fiction spin that we all love and respect from the Stephen King of police drama novels. The novel starts sets the stage in the 1970s, in a destitute, crime and drug ridden town in rural Norway, where the townsfolk are ruled by addiction. 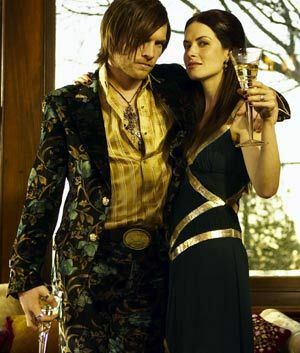 Both drug ring leaders, Sweno and Hecate, are the supreme leaders of the organized crime and drug power in the town. Another ruler of the town is Joe Nesbø's Macbeth is a standalone retelling of William Shakespeare's Macbeth with a modern day, Joe Nesbø crime fiction spin that we all love and respect from the Stephen King of police drama novels. The novel starts sets the stage in the 1970s, in a destitute, crime and drug ridden town in rural Norway, where the townsfolk are ruled by addiction. Both drug ring leaders, Sweno and Hecate, are the supreme leaders of the organized crime and drug power in the town. Another ruler of the town is Lady, who owns and operates the town's casino, Inverness. After a successful crime bust, Macbeth is promoted to the Head of the Organized Crime Unit. Through manipulation and the thirst for power, the shift of balance in the crime force is completely descended. If you are a lover of William Shakespeare or the New York production of Sleep No More, I encourage you to check this story out. I am giving this story right down the middle 3 stars out of 5 and I'll tell you why. Although I'm not the biggest Shakespeare fan, I do enjoy Macbeth and was excited to pick up this retelling. I have broken down reasons why Joe Nesbø's upcoming book gets a right down the middle review for me. 1. The characters in this story are very similar to Shakespeare's story. Mainly, most of the characters are named exactly as their original counterparts, which at first was interesting, but then sort of bored me. I've read other retellings where the cast of character slightly deviate from the characterization in their original work and it has worked astoundingly for me. It allows the reader to not guess the next steps of each character and also not be bored by a story that they've read or heard already. It keeps the reader engaged, focused, and confused (but in a good way!). This was my main concern about this story and I felt the need to get that out there first before getting into the good stuff. 2. In contrast to the character originality, the story presented to us is uniquely defined and was masterfully done. Rather than the story be about royals and servants, this retelling involves crime units and drug lords–still interconnecting the main themes that you come to expect with this story: manipulation, power, greed. These centralized themes are portrayed perfectly from the moment you crack open the book, until the final chapter. Human behavior can be it's own worst enemy. My final thoughts: If you've never read Macbeth or absolutely loved it, pick up this book! If you're hesitant because you know what happens already, or want something a little more original–maybe sit this one out. Retellings can be difficult to review, because everyone has a different emotional attachment to the story being reenacted and I truly believe that this story will also be polarizing. Τα τελευταία χρόνια έχουν κυκλοφορήσει αρκετά retellings κλασσικών βιβλίων και παραμυθιών τα οποία, επί του πρακτέου, δεν αποδείχθηκαν ιδιαίτερα πετυχημένα. Σε προσωπικό, τουλάχιστον, επίπεδο, με απογοήτευσαν οικτρά, με το ένα να είναι χειρότερο από το άλλο. Όταν, λοιπόν, έμαθα πως θα κυκλοφορήσει το "Μάκβεθ", η πρώτη μου σκέψη ήταν πως το να πει κάποιος από την αρχή μια ιστορία που έχει γράψει ένας εκ των κορυφαίων συγγραφέων της παγκόσμιας λογοτεχνίας, ο Shakespeare, δεν είναι απλά ρίσκο, αλλά Τα τελευταία χρόνια έχουν κυκλοφορήσει αρκετά retellings κλασσικών βιβλίων και παραμυθιών τα οποία, επί του πρακτέου, δεν αποδείχθηκαν ιδιαίτερα πετυχημένα. Σε προσωπικό, τουλάχιστον, επίπεδο, με απογοήτευσαν οικτρά, με το ένα να είναι χειρότερο από το άλλο. Όταν, λοιπόν, έμαθα πως θα κυκλοφορήσει το "Μάκβεθ", η πρώτη μου σκέψη ήταν πως το να πει κάποιος από την αρχή μια ιστορία που έχει γράψει ένας εκ των κορυφαίων συγγραφέων της παγκόσμιας λογοτεχνίας, ο Shakespeare, δεν είναι απλά ρίσκο, αλλά κάτι σχεδόν αδιανόητο. Και όμως, ο Nesbo, απέδειξε πως όχι μόνο γίνεται, αλλά και πως το αποτέλεσμα μπορεί να προκαλέσει ρίγη ανατριχίλας και έναν ενθουσιασμό που δεν είμαι σίγουρη αν κάποιος άλλος συγγραφέας θα μπορούσε αν βρισκόταν στη θέση του.